Unearthing a long-buried artifact yields rewards far beyond the prospect of treasure. Rachel Falzon can tell you that artifact is also a story — and a chance to connect with the past and understand history. Falzon, 21, a University of Idaho senior from Ferdinand, Idaho, is a dual major in anthropology and history, but her specialty is archaeology. She works at the university’s Alfred W. Bowers Laboratory of Anthropology, a research lab within the College of Letters, Arts and Social Sciences. The lab is dedicated to analyzing artifacts and archiving information, and its current research revolves around Silver City, a mining site-turned-ghost town located in southern Idaho. Numerous excavations of Silver City have left many artifacts in the laboratory’s care. To Falzon, the laboratory’s work is crucial, not only for researchers interested in studying Silver City or similar locations, but also for anyone wishing to better understand how the past connects to the present. Even the smallest piece can provide an important insight. 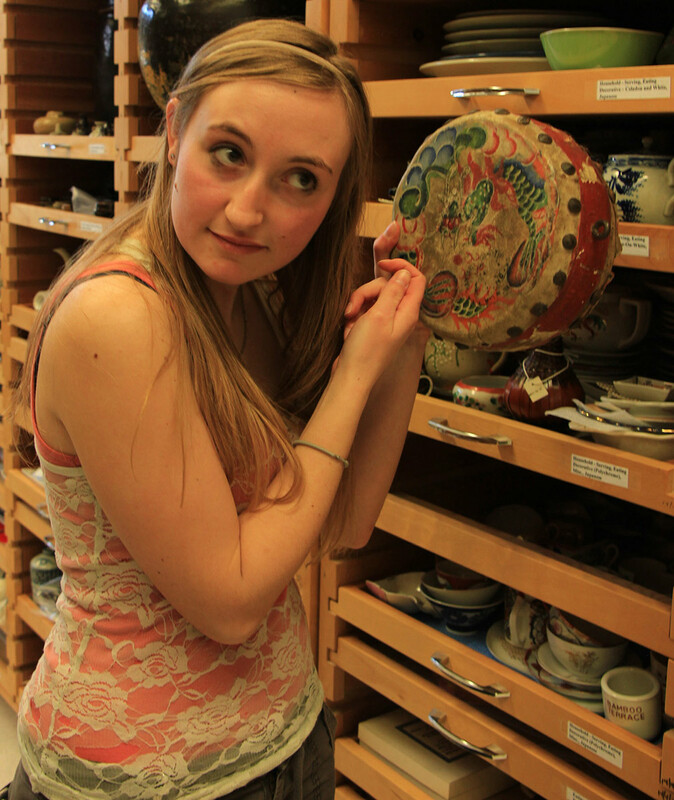 Rachel Falzon knocks an old Chinese drum in the Laboratory of Anthropology. She also recognizes there are practical as well as personal benefits to be found in archaeology and anthropology. Falzon’s work has provided her with valuable job-related knowledge on communication and networking, but she is most grateful for the varied experiences her studies offer. Falzon says her passion for anthropology and archaeology is fueled by the close-knit communities that form within the field. Even the most tedious lab work is bearable with the motivation of fellow Vandals, and she finds her instructors particularly helpful. 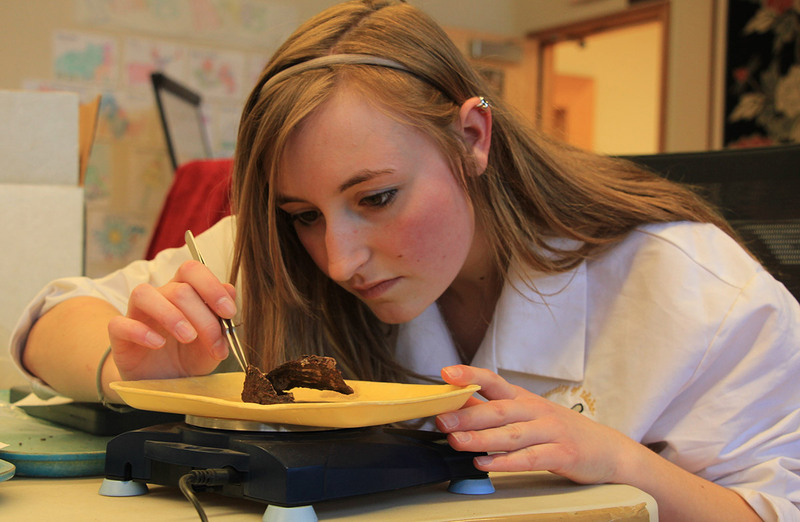 Falzon also pursues her interest in anthropology and archaeology outside of the lab. Recently, she displayed a presentation at the Northwest Anthropological Conference, and in the future, Falzon hopes to attend graduate school and work as a historic archaeologist. She’s thrilled that her field offers countless opportunities. Rachel Falzon weighs a metal plate in the Laboratory of Anthropology.